Obituary for Owen Samuel Lloyd | E.F. Boyd & Son, Inc. Went home to be with the Lord on June 27, 2018. Father of six; grandfather of ten and great-grandfather of a host. Wake 10am Sat. July 7th at Patton Memorial CME Church 3547 East 142nd St., Cleveland, with services following at 10:30am. 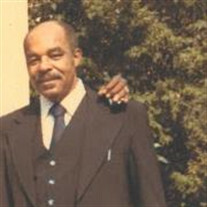 Arrangements entrusted to E. F. Boyd and Son Funeral Home 2165 East 89th St.